Talcum Powder – The Next Mass Tort? 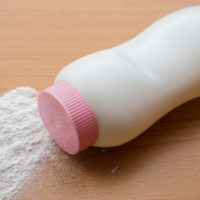 Manufacturers and sellers of products containing talc (most notably Johnson & Johnson) have been deluged with lawsuits claiming that talc powder exposure allegedly caused ovarian cancer. Nearly two thousand lawsuits have been filed and a few of those suits have actually gone to trial. Some people are speculating that talc in baby powder products may be the new asbestos or “big tobacco” litigation, according to Law360. One of the first talcum powder lawsuits went to trial in 2013. The case was tried before a South Dakota jury, which wound up finding Johnson & Johnson negligent in allegedly failing to warn the plaintiff of the potential link between using its talcum powder products and ovarian cancer. Though, the jury declined to award any monetary damages. In contrast, multiple juries in Missouri also held Johnson & Johnson liable, but awarded monetary damages nearing two hundred million dollars. Indeed, there are some juries that award no damages and other juries awarding hundreds of millions of dollars in virtually identical cases. To make the matter even more complex, a judge in New Jersey granted summary judgment in favor of Johnson & Johnson and dismissed two cases containing quite similar allegations to the Missouri cases that went to trial and resulted in large plaintiff’s verdicts. The three cases resulting in large plaintiff’s verdicts were tried in St. Louis. Is anyone surprised that, as a result, over one thousand talc powder lawsuits have now been filed in Missouri? Probably not. This is a fairly common example of “forum shopping” where lawyers attempt to file lawsuits in venues that appear to be friendly to their side based on reputation and/or past verdicts in similar cases. Missouri has gained the reputation as being “friendly” to plaintiffs after multiple juries awarded large, multi-million dollar verdicts in product liability lawsuits. This has led to plaintiffs’ attorneys spending millions of dollars on television and internet advertising in the St. Louis market to try and round up potential cases. This is why, as defense counsel, a motion should be filed to have a case transferred to a venue that will afford a fair and reasonable trial for both sides. In addition to the venue playing an important role in the makeup of a jury, different venues apply different standards for allowing designated experts to offer testimony. For example, in Missouri, there is a flexible standard for admitting expert testimony. In the three cases resulting in large plaintiff’s verdicts, the trial courts did not hold pretrial hearings to assess the admissibility of expert testimony. In contrast, the judge that granted summary judgment in the talc cases in New Jersey denied the plaintiff’s selected expert to offer testimony because the expert’s assessment was internally inconsistent. Once again, where the case is tried and what standards apply can make a major difference in the outcome. The South Texas law firm of Colvin, Chaney, Saenz & Rodriguez, L.L.P. provides skillful representation to product manufacturers facing any type of liability claim, including talc cancer claims. We understand what is at stake for your company’s reputation and bottom line in these cases. You can rely on our product liability defense firm to pursue every available option in an effort to secure a favorable outcome. 1201 East Van Buren St.
© 2016 - 2019 Colvin, Saenz, Rodriguez & Kennamer L.L.P. All rights reserved.